Hello everyone, I am really excited to share my first layout of 2019 here in my blog after almost two years. 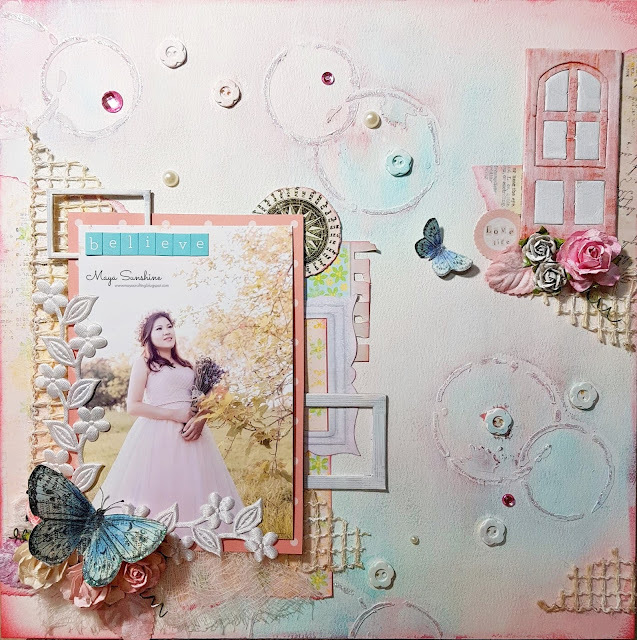 This layout is my DT reveal at Challenge YOUrseelf. My little word of 2019 "BELIEVE" gave me a lot of inspiration for creating this layout. 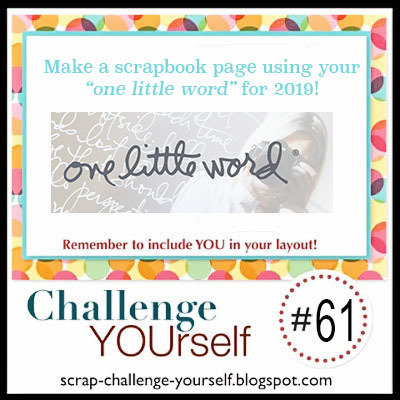 The theme for this challenge is Ali Edwards' One Little Word. We would like you to create a layout that celebrates your chosen word. You pick a single word to focus on for the year. I picked "BELIEVE" as my little word of 2019 because I believe that this year many good things will happen and my prayers will be answered. Just believe!!! Here are some more close ups.